'Tis the season for gifting! And ModCloth wants to help you find the perfect presents for everyone on your list with their 2014 Holiday Gift Guide. 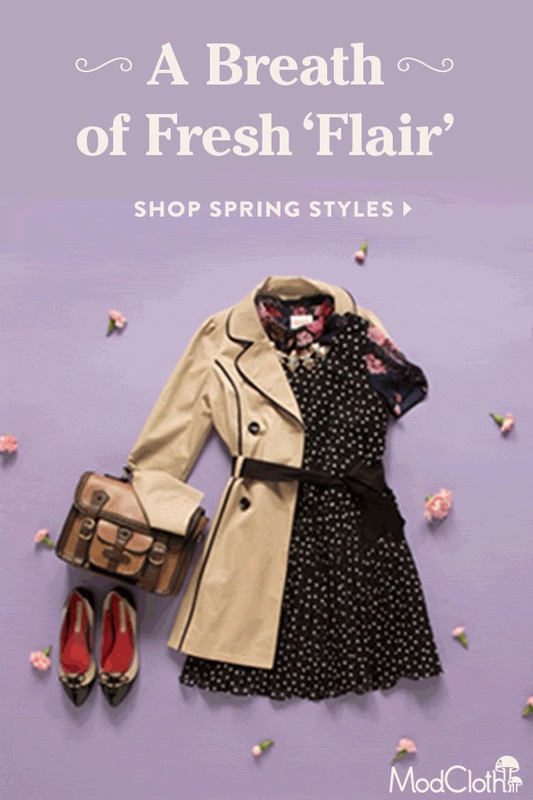 Shop using their handy categories, or check out presents inspired by trendsetting bloggers, including A Beautiful Mess, Oh Joy!, Girl with Curves. Utterly unique and endlessly fab. Here are three of my favorite choice from the ModCloth Holiday Gift Guide! 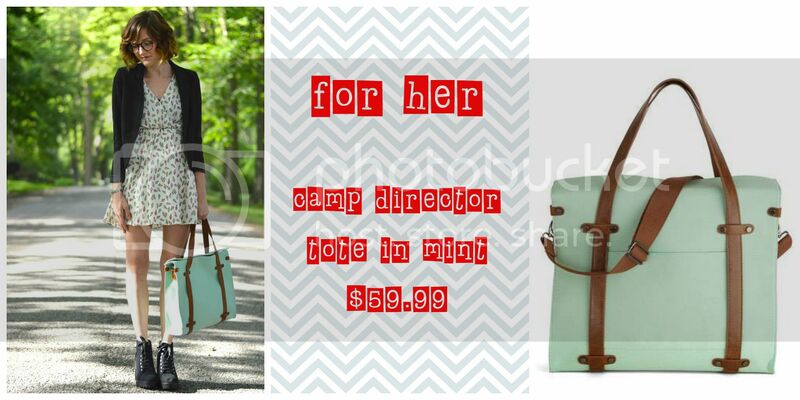 For her I love love love (will someone get this for me please) the camp director tote in mint. The slim, square silhouette is constructed from sturdy, soft green fabric, then adorned with dark brown faux-leather handles and studded embellishments. To make it even more practical and picturesque, this bag also arrives with a front pocket, adjustable shoulder strap, three-snap closure, and a silky, patterned lining of cocoa and white. For a look that commands a smile wherever you wander, grab this timeless tote for $59.99. Okay the ticket stub diary is actually on MY wish list too. But it would make a great gift for any guy on your list. 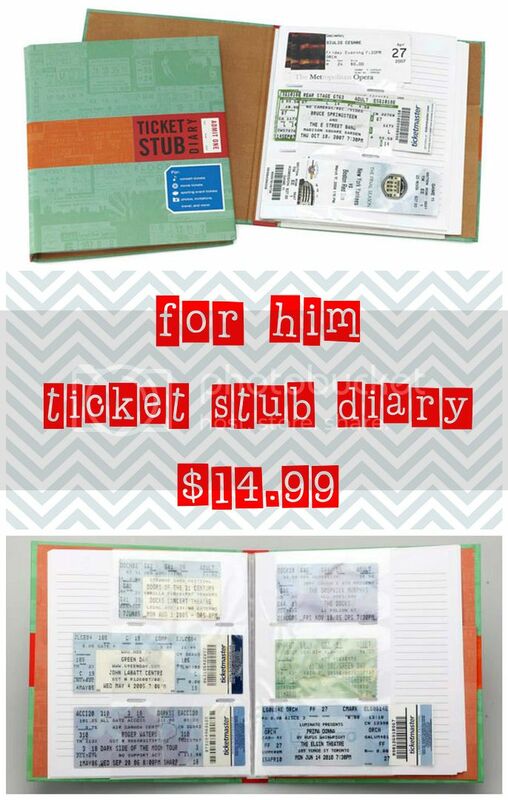 If your man has a box full of ticket stubs that could use some organizational attention, this is the perfect gift for him! Like a photo album for your old tickets, this book is filled with 22 acid-free pages with clear pockets ideal for displaying those little pieces of your personal history for just $14.99. Do I just love the got my number two socks because I am a teacher? Hard to say. But I do. I love them. Arrive for your fashion exam extra-prepared in these yellow pencil socks! This flexible knit pair looks sharp with eraser-pink tops and graphite-hued heels and toes next to a relaxed sweater dress and Oxford flats for just $11.99. Their vast collection of utterly unique gifts is the perfect place to find something to wow your favorite gal (or guy)! 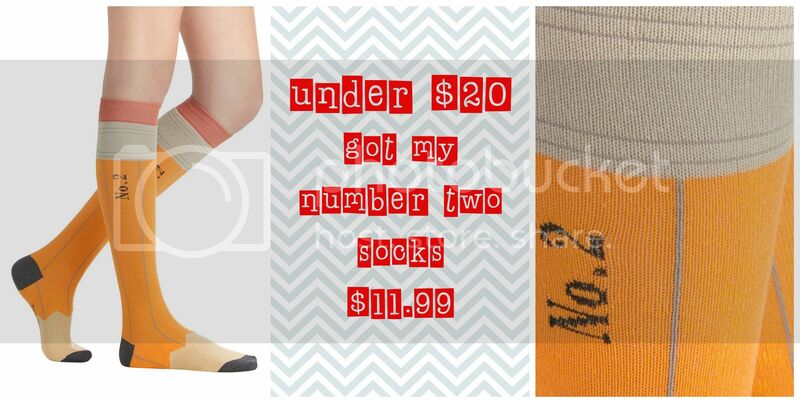 Plus there is always something fun on sale, be sure to check ModCloth Sales often. Shop the whole ModCloth Holiday Gift Guide for more fun and quirky ideas perfect for that special someone on your gift list! 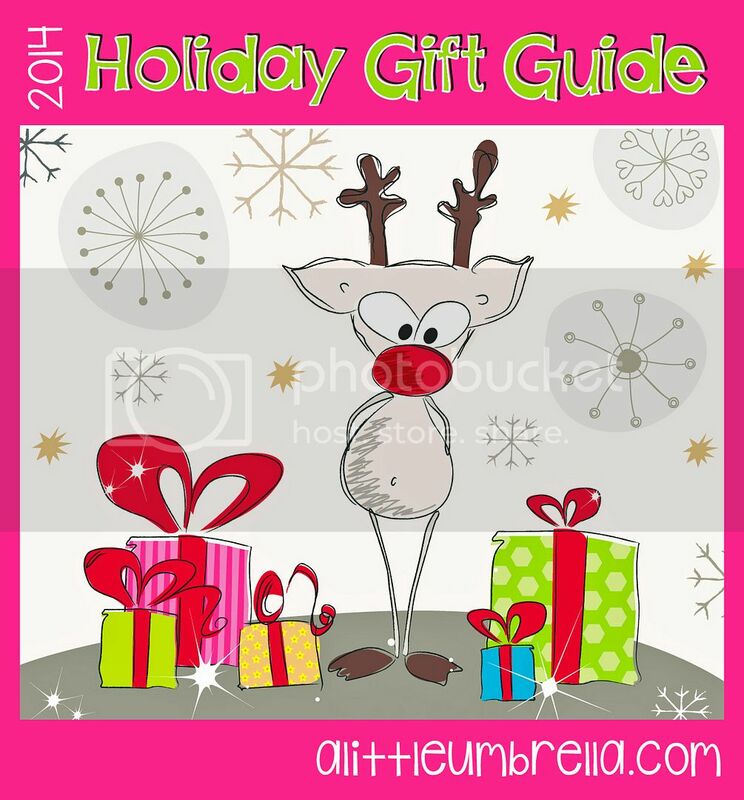 ModCloth is featured in my 2014 Holiday Gift Guide.